The arched shape of the Fine Arts in the curved design allows a unique viewing experience. As a viewer, you have never been at the centre of events in this way before. Its design also reduces interfering reflections to a minimum level. The native 4k Ultra HD technology with an image resolution of 3.840 x 2.160 pixels lets you enjoy television at four times the quality of Full HD. The picture reproduction of 60 fps is already equivalent today to the future UHD standard. The future standard of UHD technology today. Stunning experience in 60 FPS. HD and FullHD contents are flawlessly scaled up to a native 4K resolution. 3D Shutter Glass Technology for an even more immersive 3D experience. You are at the centre of events as the viewer with the new Grundig TVs: the concave screen is adapted to the curvature of the human eye. This creates a panoramic picture with depth. The picture appears more vivid and realistic and can be viewed without distortion over the entire field of vision. The field of vision itself seems larger than that of a flat screen with the same diagonal screen size. 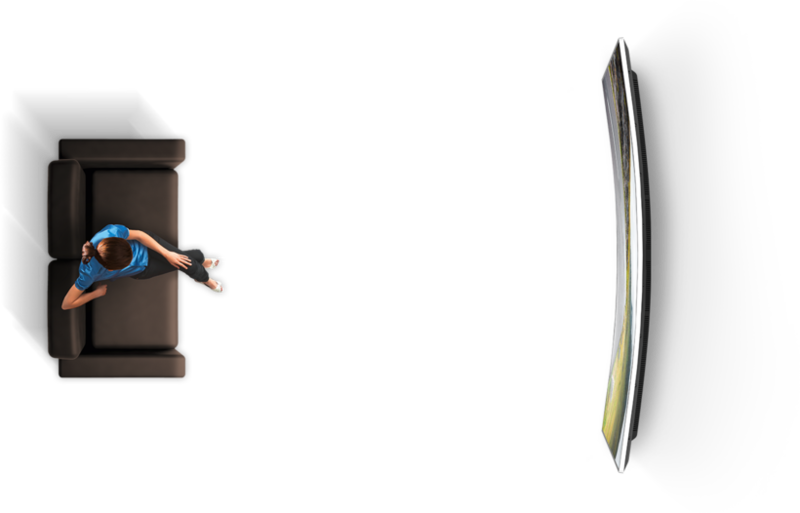 Because the perspective of the viewer remains the same due to the curvature, a curved TV achieves 50 to 80 percent more contrast than comparable flat TVs. In combination with Ultra HD resolution, an overwhelming cinematic film experience is created. Imagine pictures with a fourfold higher image resolution than Full HD and prepare yourself for a superlative television. Grundig’s Light Optimization Sensor lets you have higher picture quality and less energy consumption by adjusting the TV picture according to the ambient light conditions. The new generation of Grundig TVs with the Grundig Micro Dimming Engine optimize the contrasts independently. The complete display is divided into 600 areas. Each area is analyzed separately and the optimum black level for each pixel is calculated. This way the luminosity for each pixel is optimized without losing the details of dark areas. As a result, Grundig Micro Dimming Engine gives you better contrast and better luminosity. Don’t miss the details any more! The two simultaneously running triple tuners enable flexible and time-delayed viewing. Watch one program and record another one without limitation. Thanks to the “Extended Live Share” function it is possible to stream contents wirelessly in 3 direction (TV to mobile, mobile to TV, TV to TV). Watch two different programs in PIP (picture-in-picture) or PAP (picture-and-picture) format. Watch and record 2 channels simultaneously! With our twin triple tuner, watch TV channels from the same or different sources and record another at the same time - even with time shift. Easily stream HD content onto the television, and vice versa. Just connect any Miracast™-certified mobile devices and the television via Wi-Fi. Want to keep the overview? Watch two channels simultaneously with PIP (picture-in-picture) or PAP (picture-and-picture) function. You can even listen to the 2nd channel via headphone. 4K adds even more action to the Smart Inter@ctive TV. Thanks to Ultralogic 4K platform, the TV responds more quickly to all entries. Changing channels, using apps and online functions will be faster. The platform also improves the quality of films and games. You have the choice of a large number of international offerings from popular online video libraries and YouTube. Select your favourite clubs, and pop-ups provide you with all the highlights in real time. Just log on to your television via MyTVCloud and play your own multimedia files anytime. Records Snippets from Live programmes, save them on your Hard Drive and Share! For the first time on the TV market, Grundig has created a concept that provides an objective overview on the sound quality of televisions. A standardised evaluation method, the Sound Perfection Rate (SPR) concept takes into account all criteria that are important for the sound quality of a television. 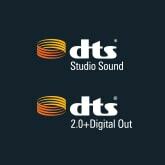 The integrated DTS StudioSound HD technology is considered in the assessment just as much as the positioning of the loudspeakers and the watt output power. 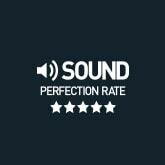 The result is an assessment system of 1 star to 4 stars for the highest sound performance. Drag the couch to set the distance between you and your TV and we’re going to tell you, which Grundig Curved UHD TV will fit your needs - and your living room. Just enter the distance between you and your TV and we’re trying to tell you which Grundig Curved UHD TV fits your needs - and your living room. Receive Sat Signals all over your house. Just install Sat-to-IP Server and you’re ready to go! No more flickering, no more headaches. With 1400 Hz PPR you get crystal clear images. With great power comes great experience. The Quad Core Processor handles all the innovative Grundig features perfectly. Setting up your TV is easier than ever! Just enable Comfort Mode, lean back and enjoy the show! The “Interactive Help” function also explains the individual functions in very simple terms.